Trout is the name for a number of species of freshwater fish belonging to the genera Oncorhynchus, Salmo and Salvelinus, all of the subfamily Salmoninae of the family Salmonidae. 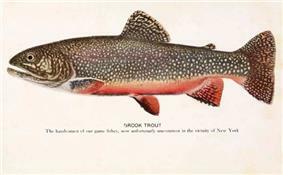 The word trout is also used as part of the name of some non-salmonid fish such as Cynoscion nebulosus, the spotted seatrout or speckled trout. Trout are closely related to salmon and char (or charr): species termed salmon and char occur in the same genera as do trout (Oncorhynchus - Pacific salmon and trout, Salmo - Atlantic salmon and various trout, Salvelinus - char and trout). 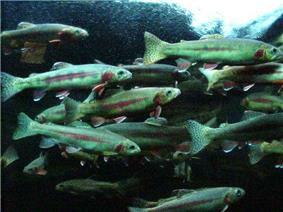 Sheepheaven Creek redband, Oncorhynchus mykiss spp. 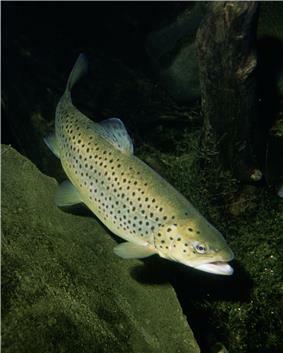 As of 2014, an enzymatic process can be used to make a high-protein fish feed from barley, which is suitable for trout and carnivorous fish such as salmon. ^ "What are oily fish?". ^ a b Gomon, Martin; Bray, Dianne. "Rainbow Trout, Oncorhynchus mykiss". Fishes of Australia. 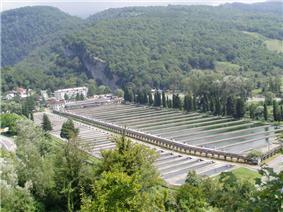 Retrieved 30 August 2014. ^ "Search the USDA National Nutrient Database for Standard Reference". Nal.usda.gov. Retrieved 2011-12-26. Trout.co.uk – Website focused purely on fishing for trout. TU.ORG – Conserving, protecting and restoring North America's coldwater fisheries and their watersheds.